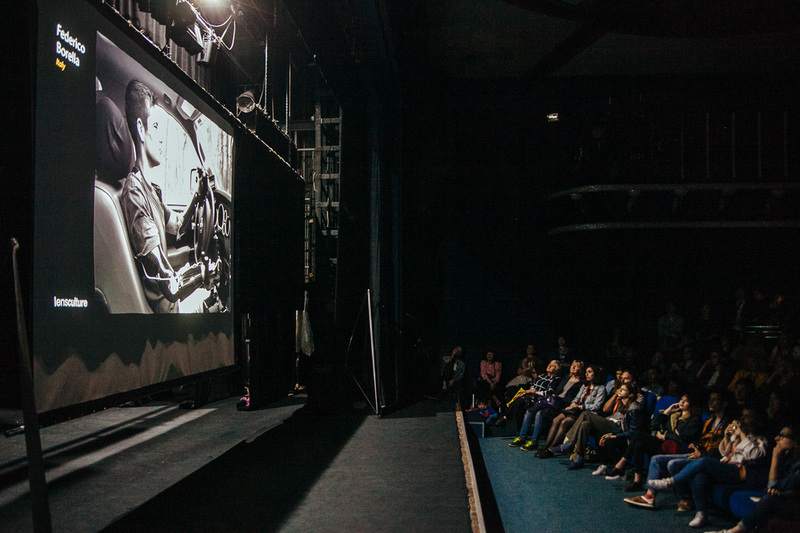 Evening photo screenings are an opportunity to travel around the world, to see different stories, to peek at life in far away cities and countries. Every evening it’s possible to see photography from different parts of the world on Odesa Photo Days: this year we will show you how and about what they are shooting in Greece, Egypt and Slovenia; photo selections from magazines PHROOM, RUM Magazine and LensCulture; special screenings from HeadOn Photo Awards (Australia) and Circulations (France). And also already traditional showing of the series of finalists of the contest for teens Future Photo Days. The evenings promise to be rich, the entrance on showings is free, but the number of seats in the hall is limited. “Cairo” – a modern photography of Egypt. Curator – Ksenia Nikolskaya. The duration of the screening is 45 minutes. So Sweet Ukraine – modern Ukrainian photography. Curated photo selection from the PHROOM magazine. The duration of the screening is 40 minutes. There will be no chairs, take ground pads with you. There will be a party after screening. Finalists of contest for teens Future Photo Days 2019. Modern photograph of Greece from the Photometria Festival. International online platform for LensCulture photographers’ selection. The duration of the screening is 55 minutes. Special screenings from HeadOn Photo Awards (Australia) and Circulations (France) photo festivals. The duration of the screening is 40 minutes. The history of photography and the history of Egypt are closely entwined. The development of photography as a medium would not have been possible without archaeology and mass tourism, two fields in which Egypt was a pioneer. Unfortunately, foreign photographers dominated the local photography scene for many years as a result of colonial museology and tax policy. Only in the 1920s, with the burgeoning nationalist movement, did photography become more Egyptian due to the rise of Illustrated magazines, identification photographs, and commissioned portraits. II WW was a blossoming period for studio photography. Documentary and journalism was never developed here due to the political situation. The events of 2011–13, also known as Arab Spring, further fueled photography in Egypt (as the old adage goes: “What is bad for people is good for photography: communism, war, smoking…”). Social engagement and the desire to act as witnesses of their time gave rise to a new generation of Egyptian photographers, who were supported by multiple photo initiatives. Cairo is a selection of young Cairo based photographers from Egypt (Beya Khalifa, Sabry Khaled, Roger Anis, Bassam Ihab) and Sudan (Salih Basheer). Beya Khalifa in her works reflects Orientalist clichés, Sabry Khaled talks about his beloved Downtown Cairo, Roger Anis explores public beaches of Mediterranean coast, Bassam Ihab is searching for Egyptian identity and Salih Basheer unveiled the harsh true about religious school in Sudan. For almost 10 years, LensCulture has become one of the most authoritative resources for contemporary photography. LensCulture International Exposure Awards, now in their fifth year, are granted yearly to discover, reward, and promote talented, new, emerging and established photographers and multimedia creators from around the world. We are researchers and PHROOM is our visual archive, the best source for visual thinking. We work to create an artistic place and a collection as a representation of the contemporary world. Media partners of the Odesa Photo Days Festival. The project If Slovenia Were represents a photographic vision of the country and society through the eyes of 18 contemporary Slovenian photographers. It was launched by the award-winning French photographer of Slovenian origin, Klavdij Sluban, who selected the participating photographers in an open call. All of the series were developed between 2015 and 2018, visually interpreting subjects ranging from globalized suburbia, to expatriates who had emigrated to more developed countries, to personal representations of family life, and introspective series, dealing with artists’ private experiences in their immediate surroundings. All of the series were developed specifically for this project, or they include vintage material as part of the wider concept of the overall theme. Through distinct individual expressions, the artists articulate their own vision and interpretation of the country they live in. Photometria International Photography Festival is organized by “Entefxis.” Non-profit organization. Organized for the 11th year in the city of Ioannina is the first interactive Photography Festival in which everyone who loves the art of photography can participate and vote. Our vision is for Photometria International Photography Festival to become a showcase of contemporary photography, to support local and foreign photographers, of education and cultivation of partnerships with cultural organizations and festivals in Greece and abroad.